Shalom uvruchim haba-im to the Thirty-Fifth Learn Hebrew Pod Newsletter. Though Israel is a country of only about 7.5 million people, there are moments when it feels like every single one of them is on the road at exactly the same time. (It was a wonderful break last week on Yom Kippur when, for 24 hours, the roads were completely empty of traffic!) 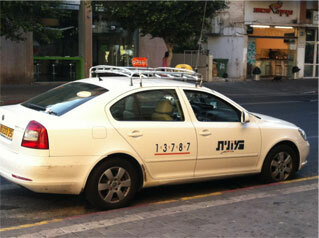 Most of the time, making use of Israel’s broad public transportation system is a much better option than driving. 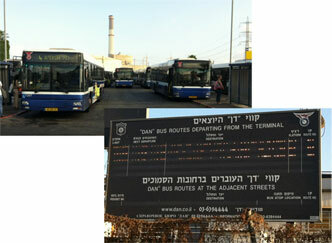 In LHP’s Lesson 66, Liat, Dan, and Jonathan explore some of what we might see on the buses, but Israel’s buses are only one of the choices for getting from point alef to point bet. Let’s hit the road! This is where our journey is likely to begin. 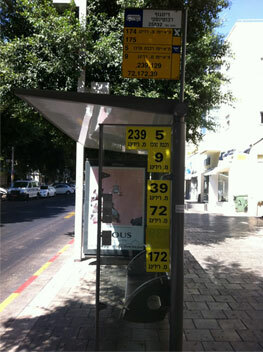 Keep your eyes open and don’t dawdle getting on the bus... Israeli bus drivers aren’t known for spending extra time at the bus stop! In Hebrew, a ticket is kartis, but kartisiya is the special word used to describe a ticket that can be used numerous times. On the bus, until quite recently, a kartisiya was usually a punch card good for a certain number of trips or for a certain length of time. 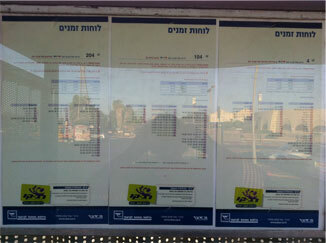 But in the past few years, a magnetic smart card (called Rav-Kav) has replaced all of that paper on almost all of the public transportation lines in Israel. 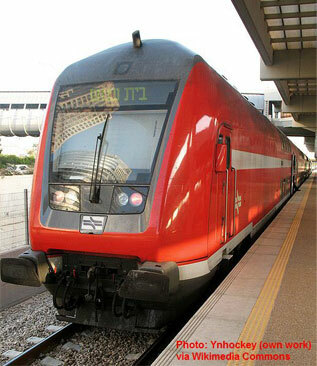 If you recognize the Hebrew word for “end” (sof) in the word for terminal, you’re exactly right. The masof is the end of the line, and Hebrew’s use of root letters tells us just that! 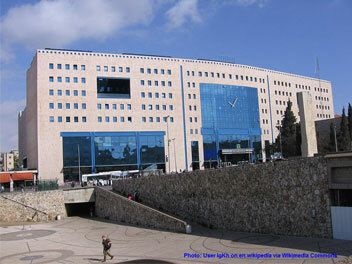 Every major city in Israel has one... the one pictured here is Jerusalem’s. 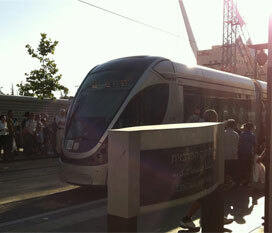 After years of snafus, budget overruns, delays, and terrible construction traffic, Jerusalem’s light rail system finally began carrying passengers almost exactly one year ago. Jerusalem’s public transportation system is still undergoing major change, so it remains to be seen if the light rail was worth the wait. Whether or not you’re a fan, you have to admit that the Jerusalem Light Rail represents one of the things that is most fascinating about this amazing city. At one point, it travels right outside the gates of the Old City... a perfect juxtaposition of the ultra-modern and the ultra-ancient. It’s not as green as some of the other options (and, of course, it will cost you more green)... but sometimes a taxi is the best way to go. 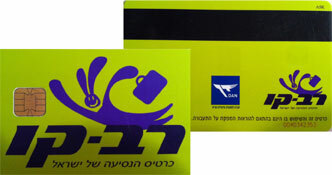 Just be sure that your driver uses the moneh (meter) and always ask for a kabala (receipt). Haifa... Netanya... Tel Aviv... Beer Sheva. Trips between cities are quickest on the train. 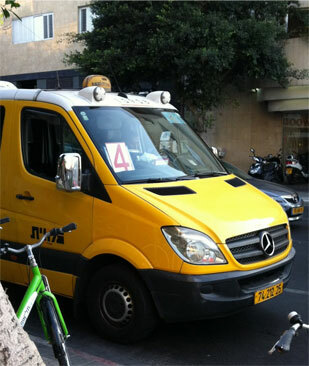 And there’s no better way to get to Ben Gurion Airport... the rakevet pulls right in to the terminal! 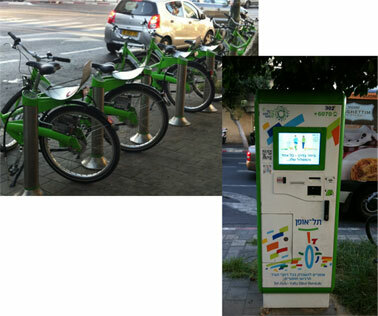 Modeling itself after similar programs in other major international cities and with technologies developed by Tel Aviv University, this year, the Municipality of Tel Aviv initiated a bicycle rental service for residents and visitors alike. Rent a bicycle at one of over 100 stations and return it at any other throughout the city. It's green... it's healthy... it reduces traffic... and it's fun! Listen to Lesson 66 on our website. Someone on the Learn Hebrew Pod Team had a birthday while Liat was on her trip to the Far East... What an amazing gift she brought back! Listen to Lesson 65 on our website.